Only Hinckley has nine yacht care centers for a pinnacle ownership experience. No other yacht builder in the world has this commitment to protect and serve their owners. Hinckley owners know there is no better way to care for your yacht than by enrolling in the annual Jet Boat Service program from Hinckley Yacht Services. Having built the boats at our facility in Maine, nobody knows these boats better than we do. The Certified Pre-Owned (CPO) program recognizes Hinckley yachts regularly enrolled in the Jet Boat Service program at our yacht care centers. Certified Pre-Owned Hinckley yachts are impeccably maintained and tend to command a premium in the resale market. 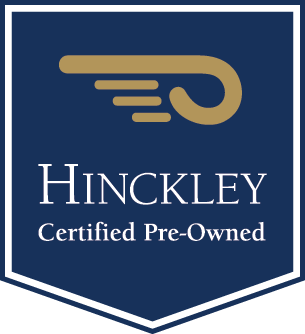 This helps Hinckley owners protect their investment and resale value. For buyers interested in brokerage yachts, the Hinckley CPO badge signifies a yacht kept to the highest standards with a warranty from Hinckley for the new owner. In order for a Hinckley to qualify for CPO status, it must have been serviced in the company’s nine yacht care centers. The boat must be inspected and listed for sale with Hinckley Yacht Brokerage. There is no program cost to the seller or buyer of the certified pre-owned boat. The warranties provided vary according to the age of the boat. For further information please contact a Hinckley Yachts Sales office by clicking here.